This is a responsive one-page Bootstrap 4 template for showcasing portfolios. It is easy to customize and has up-to-date semantics that fully supports HTML5 and CSS3; it is cross-browser compatible and above all, you will get lifetime updates and free support. Created by GitHub user Diego (diegovr7), licensed under the MIT license. 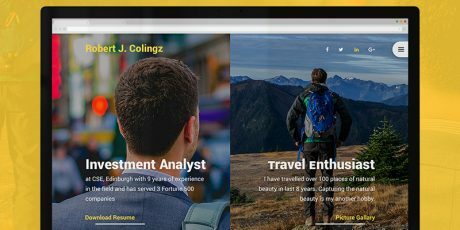 A Portfolio template built with Bootstrap 3, HTML5, and CSS3; designed for creative professionals business, startups and freelancers who are looking to display their portfolios in a great modern way. It is fully responsive, very easy to use and customize. Created by graphicsegg. 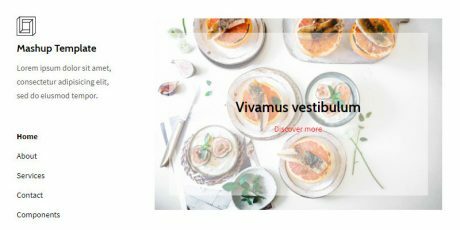 This is a VuePress site with portfolio and blogging pages ready to deploy with a really minimal approach and making use of the width proportions harmoniously. It is preconfigured for working with Forestry content management and works perfectly with all screen sizes. Created by the Forestry.io Team, free for personal and commercial use. 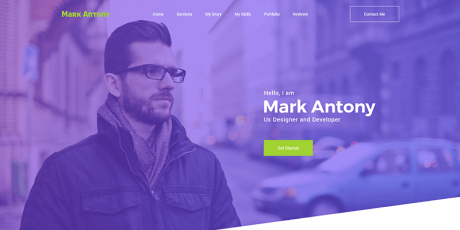 A modern and stylish vCard website template for portfolios; perfect for creative designers, developers, freelancers, photographers or any creative profession. 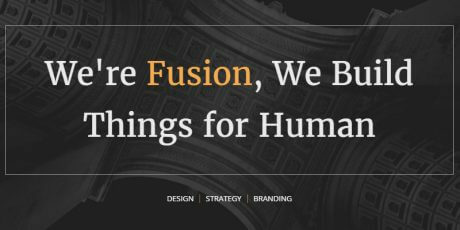 It has blog page templates, working contact form, stylish portfolio section and other features you will only find on premium templates. Built with clean and organized code making it easy to customize. Created by Behance user Erwin Aligam. 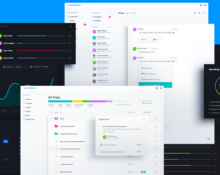 A Sketch App template built for creative, branding and digital agencies. 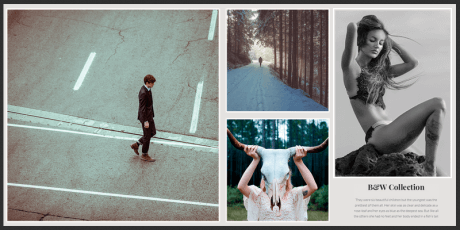 Its artboards are fully editable, layered and carefully organized for improving customization. It has support for nested Symbols, text and layer styles. Created by Behance user Tran Mau Tri Tran for Mass Impressions. 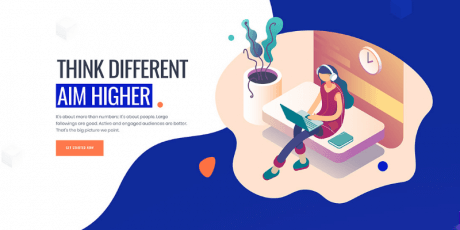 12 highly editable portfolio templates for printable media, perfect to showcase your designs with a clean, minimal style. Available in PSD format. 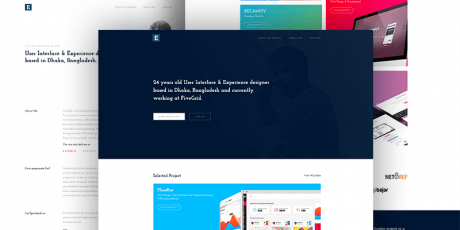 Templates by Behance user Sovon Halder. 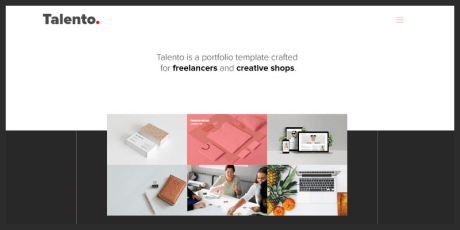 Talento, by Diego Valencia, is a neat Adobe XD free website template crafted for freelancers or creative shops to showcase their content in style. It features a minimal design, with more image showcasing than text, an animated side menu with 4 pages to navigate: Home, About, Work, and Contact (Form included). 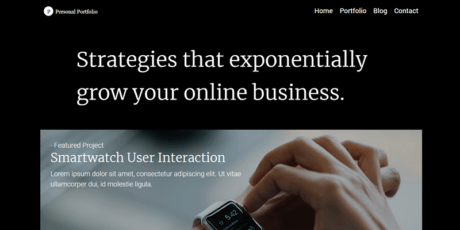 Every page features a call to action button, and several spots for images distributed in a comfortable and organic way throughout the layout which achieves a great, minimalistic feel. 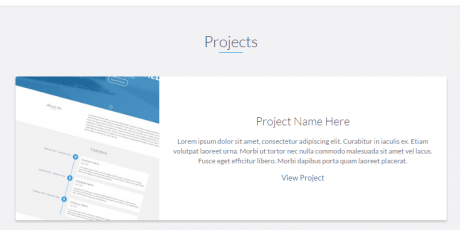 Adagio is a feature-rich portfolio template with a minimal design created by VivaThemes. Its fully responsive and looks great on mobile. The home page offers great flexibility with several optional layouts to choose from. Below the full screen image you can display a set of featured posts or pages, your latest blog entries, a static page or your portfolio. 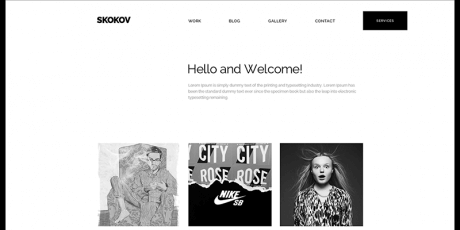 Responsive design and ready for mobile, Savory is a great website template featuring a large grid on its home screen for showcasing product and/or projects. The template is made with a minimal design, and features pages for Home, Contact, About, Services, and Components. You can preview the template directly in your browser. 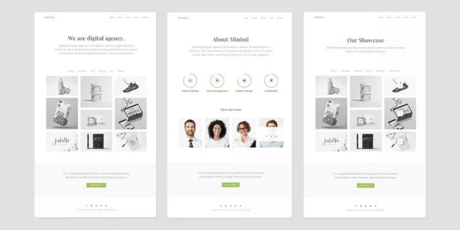 This is a design by Anaïs and Quentin, from Mash Up Template, and the download includes Sketch, HTML and NPM files. 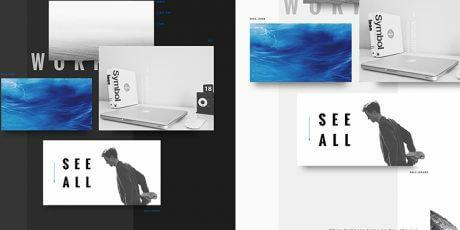 Created by Behance user Arto, this neat looking portfolio template features an elegant color scheme and, a modern design with a grid for showcasing photos, works in progress and a collections section arranged to guide the user's attention in an organic way as he scrolls through the template. Two PSD files, for desktop and mobile layouts, are included in the download and you may use it for making your personal portfolio. 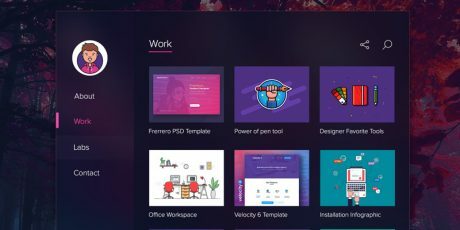 With the unveiling of Microsoft's Fluent Design, designer and dribbble user Vijay Verma brings us this beautifully made portfolio template free for use under an MIT License. The download contains 5 layered PSD files containing templates for About, Work, Labs, Show-Case, and Contact sections, fully modular and editable. A personal template in bright colors, perfect to be used as a portfolio. 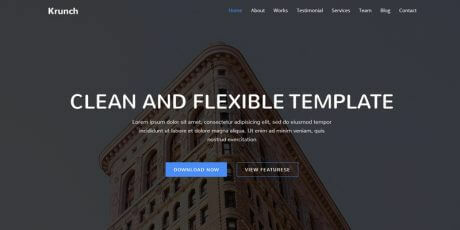 It features 3 PSD files, it is completely free for personal and commercial uses, its layers are organized, uses a Bootstrap grid and has google fonts included. The file weighs 112MB. 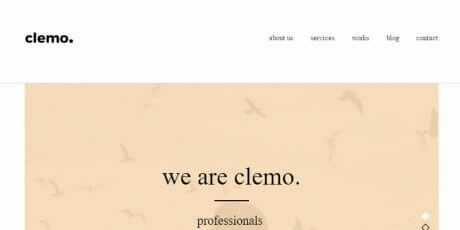 A modern HTML5 template for blogging lovers and those who want to share thoughts of any kind. 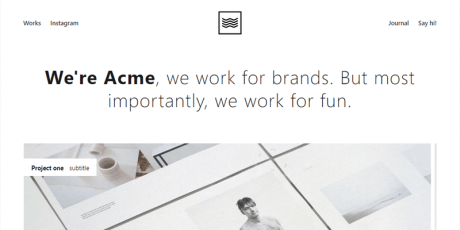 It relies on a minimal style, making the reader focus on what's relevant. It's responsive, cross browser compatible, and it includes animations, among other cool things. 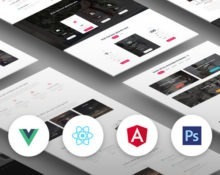 A free HTML portfolio template created with freelancers in mind. It has a cool responsible honeycomb layout and works perfectly as a base template and framework different portfolio types. Use it for both commercial and personal purposes. 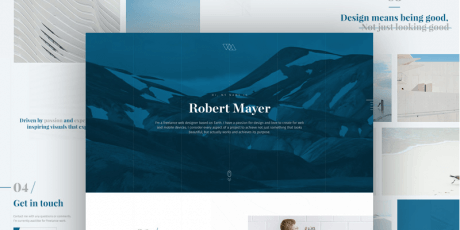 A minimalist PSD template to present artworks or graphics. It comes with fully customizable shapes and well-grouped layers. It comes with the option to be used with no restrictions. This minimalistic portfolio template is meant to showcase your work using a black & white palette, with a simple yet effective text location and sizing alongside a wide categorization, which makes the items fully editable and easy to customize. 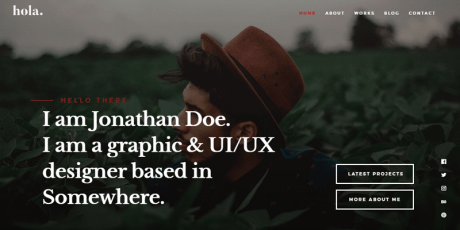 E is a case-study focused clean theme template meant for acting as a personal portfolio. It includes the 'about me', 'home', 'projects' and 'contact' layouts within a tight-tiles design. This pair of awesome portfolio template designs made in Sketch come in an all-black and all-white duality, with a layer positioning unique in his style and fully editable. A grid-based, ready to use one-page template for personal projects; the template includes vector shapes, it uses the free fonts Merriweather and Allura and is complemented with CC0 images, so you don't have to worry about licencing. The template is developer friendly, has properly named layers and an organized structure. 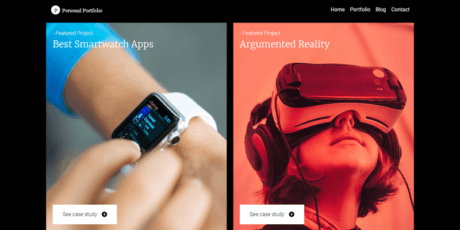 A beautiful template crafted with HTML5 and CSS3 that is also Bootstrap & cross browser compatible, featuring striking animations. 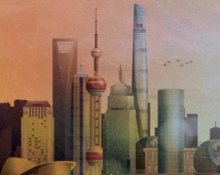 It offers a smooth scrolling, ease accelerations, parallax and object expansion, over 360 icons, and comes with detailed documentation for their correct use. A dark PSD template for a freelancer's portfolio. The template has simple flat elements that are complemented by powerful images. 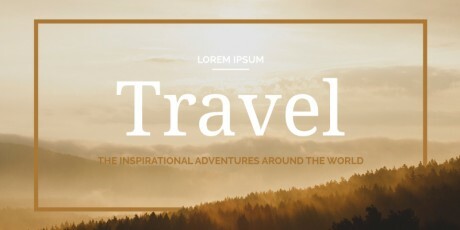 The typography suits the ambiance perfectly, and it is a step-by-step guide for the user. The template weighs 56MB. An awesome PSD template carefully crafted by Robert Mayer delivered as a fully arranged file by well-labelled layers, it is perfect for a portfolio of a designer, as it showcases the artwork or graphics in a fantastic way. 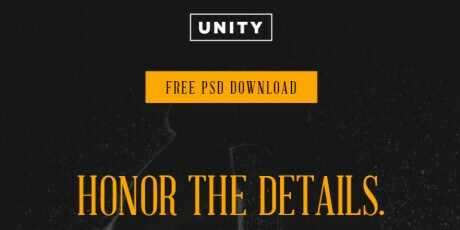 A neatly crafted one-page template in PSD format that features a nice header with a background-immerse frame, and a smooth dark scheme for its body background. It contains about, latest articles, gallery, and contact sections. This dark and sober design is a perfect personal portfolio to present yourself, it includes typefaces, gallery and contact form, available in PSD file. This portfolio template available in psd and html files is a fully responsive design with High Quality icons. 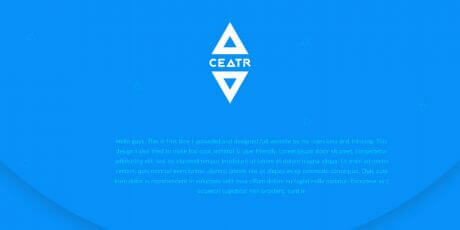 HTML designed with Bootstrap, CSS transitions and effects done, CSS3 and JQuery used. SQUARE is a clean and simple .PSD template for a photographer portfolio. It is a versatile template, so it can also be used for any other type of website. 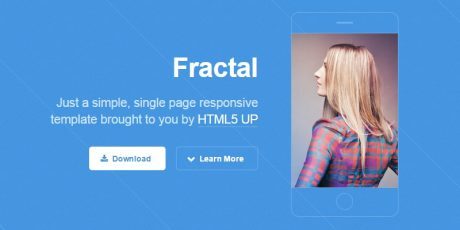 Fractal is a minimal one-page HTML5 template for professionals and freelancers who need to show their work. The template has a big featured area with and a mobile wireframe for showcasing apps, caption and action buttons. It includes social icons as well. Brandy is a minimal PSD template for portfolio websites that you can easily convert into HTML or WordPress. The template has a minimal style that depends a lot on images. The PSD is fully layered and organized, and it is based on 1170px grid, including Google fonts. 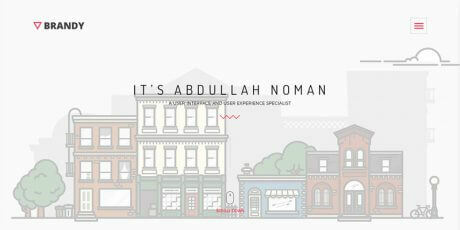 It was created by Abdullah Noman. A free template for a portfolio created by Emrah Demirag for UIPixels, made in PSD format and ready to download. Its layout includes lots of design elements, along with a cool vintage yet minimal design. This template is free to download, includes vectors for easy and quick edition, weighs a bit more than 7MB and its size is 1920 x 8410px. 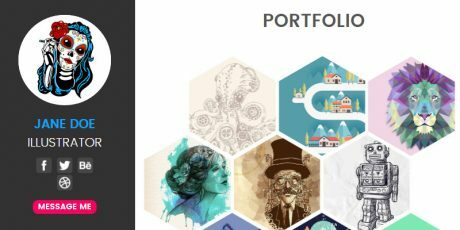 A template is called Creative Agency Portfolio, and it consists exclusively in one PSD file, carefully layered, arranged in groups and named perfectly. You can modify this PSD as you wish and use it for all your projects for free and without any restrictions.